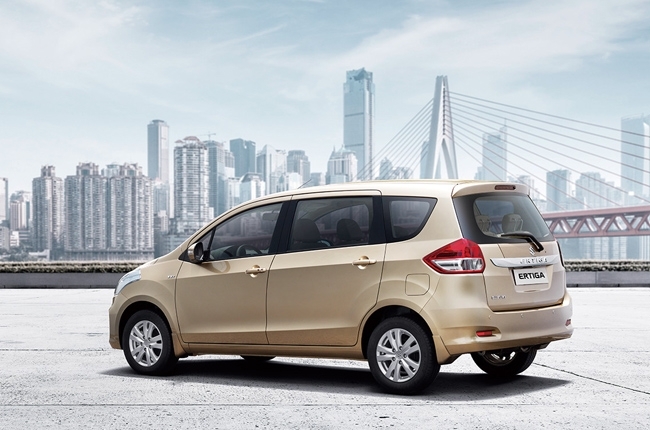 We’ve been receiving hundreds of inquiries about the Suzuki Ertiga mini MPV. On top of that, we’re also getting quite a number of comparison requests to see how it fairs against the competition. This rising attention gained by the Ertiga has brought 1 simple question - why is it such a popular vehicle these days? Looking at it in terms of price, it’s the cheapest in its segment, and that’s covering the entire range. With that said, buyers can have it in 4 kinds; the GA 1.4 MT (P665,000), the GL 1.4 which comes in either MT or AT (P759,000 and P799,000, respectively), and the GLX 1.4 AT (P918,000). Quite an attractive price range for most people, but that’s not the only reason for its appeal. Another strong point would be its practicality and occupant space. If unfolded, its 3rd row seats give 135 L of area at the back for items like a couple of small travel bags or about 3 5-gal water containers. The space can also be used to house a small basket for organizing first aid or car care kits. Fold down the back seats (2nd and 3rd rows), and you got yourself 736 L of maximum cargo area for things such as a week’s supply of grocery items or outdoor gear. And speaking of outdoors, wouldn’t it be great to take your family up North or down South for some good time off? 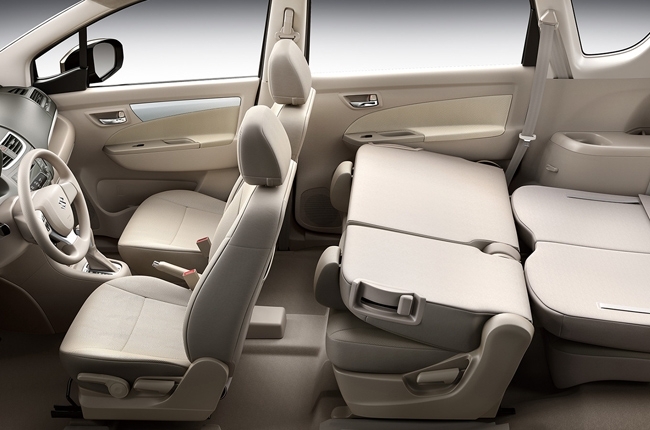 The Ertiga can seat up to 7 people with notable shoulder and leg rooms courtesy of its 1,695 mm body width and 2,740 mm long wheelbase. Opting for the mid and top variants can also add more enjoyment as these have touch screen entertainment systems. The GLX 1.4 AT even has Android OS support and online navigation capabilities. Under the hood of the Ertiga is the same 1.4L inline 4-cylinder gasoline engine that’s found in the Suzuki Swift subcompact hatchback. As such, it’s able to generate 95 hp and 130 Nm of torque. It also shares the same platform as the Swift, only that it’s bigger and can accommodate more people. 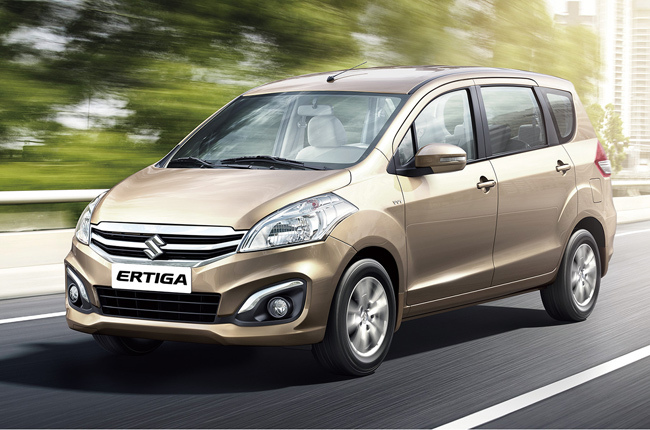 Although compared to the subcompact, the Ertiga isn’t as agile on the road. 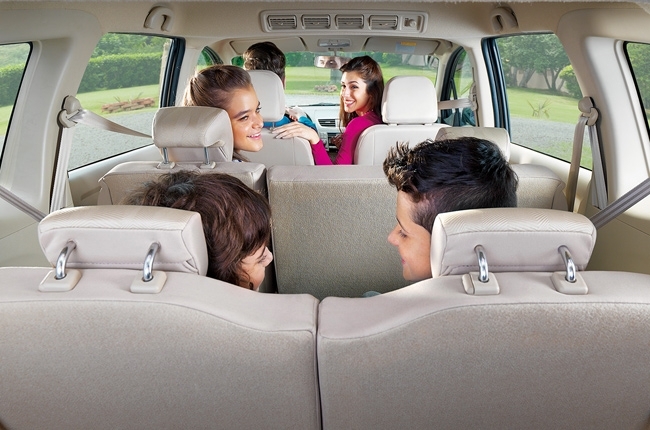 As for safety, the Ertiga comes fitted with standard equipment such as dual front airbags, child-protection door locks, and side-impact door beams. However, only the GLX 1.4 AT has the ABS with EBD. With its competitive price, commendable versatility, and spacious cabin, the Suzuki Ertiga mini MPV truly deserves all the attention it’s having. That same attention is also the reason why Suzuki Philippines, Inc. has some exciting all-in downpayment promos for the Ertiga that can be availed in the AutoDeal Promos Section. For more information about the Suzuki Ertiga, visit the AutoDeal Car Guide. Mitsubishi Xpander: The all-around MPV – Which Variant? Head-to-Head: Suzuki Vitara Vs. Nissan Juke Jumping back in time with the 2019 Suzuki Swift The Subcompact Crossover Interior Comparison Is the base 2019 Suzuki Jimny GL worth the bucks? Hi, I would like to receive a financing quote for the Suzuki Ertiga, thank you.